Fieldmint or pudina benefits in curing a number of ailments like indigestion, nausea, colic, fever, sore throat, halitosis, headache, rhinitis, and so on. Mints usually soothe the muscles and relax the peripheral blood vessels. 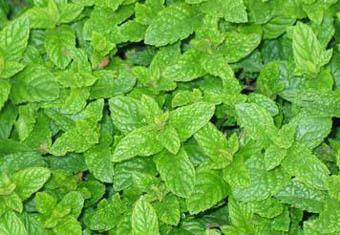 Fieldmint is one of the Three Great Mints; the other two being peppermint and spearmint. Apart from medicinal purposes, this aromatic herb is also used in various culinary preparations, especially soups and salads. This perennial herb is native to the temperate regions of western and central Asia and Europe. It belongs to the Lamiaceae family. Fieldmint or pudina has stimulant, carminative, expectorant, refrigerant, antiseptic, analgesic, anti-spasmodic, antiphlogistic, anti-fertility, emmenagogue, and diuretic properties. It clears the mind, and relieves mental and emotional tension. Fieldmint (pudina) benefits the nervous system. It provides relief from headache, insomnia, and dizziness. Moreover, this herb stimulates menstruation and induces sweating. It relieves chest pain and purifies blood, too. Plus, it helps relieve arthritis and joint pains. Pudina also heals toothache and gum inflammation. Furthermore, one of the most popular fieldmint (pudina) home remedies involves chewing it in order to get rid of bad breath. In addition, it soothes the digestive system and hence, cures indigestion, stomach pain, diarrhea, gas, nausea, vomiting, heartburn, and other similar digestive disorders. Fieldmint is good for skin as well as it helps in the natural treatment of acne, boils, and allergic skin reactions. The herb provides relief from common cold, cough, congestion, sore throat, fever, and so on. Being a powerful antioxidant, it protects against certain types of cancers. The oil extracted from mint plant is used in aromatherapy. • Drinking fresh pudina juice after meals works as a natural medicine for treating hyperacidity and heartburn. • Boil a glass of water mixed with one teaspoon of mint leaves and half a teaspoon of cardamom seeds. Consume this mixture to relieve nausea. • Combination of mint juice, ginger juice and honey helps cure morning sickness. You can also add lime juice. • Taking a mixture of one teaspoon each of lime juice, honey and juice extracted from pudina leaves serves as an effective fieldmint home remedy for indigestion, nausea, flatulence, diarrhea, and piles. Follow this therapy three times in a day. It also improves appetite. • Chewing a quarter teaspoon of pudina seeds and drinking a glass of lukewarm water reduces indigestion. Besides, you can drink water mixed with a few drops of mint oil. • Prepare a decoction by boiling mint leaves in water. Add a little black salt in it and drink it to expel intestinal worms. 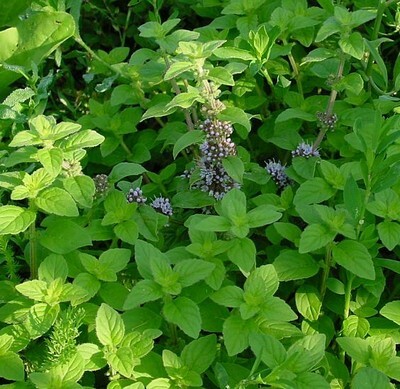 • Benefits of fieldmint (pudina) to provide relief from colic can be derived by having a decoction prepared by boiling a teaspoon of mint leaves in a cup of water for three to five minutes. Follow this natural treatment two times in a day. • Having mint tea two to three times in a day relieves stomach ache and symptoms of irritable bowel syndrome. Consuming a paste prepared by crushing pudina leaves is useful when dealing with food poisoning. Plus, it provides relief from menstrual cramps and helps in healing skin disorders. • Soak a tablespoon of mint leaves in a cup of warm water for about 30 minutes. Strain and drink this solution to get rid of nausea, nervousness, and insomnia. • To reduce fever, add a handful of crushed pudina leaves, a teaspoon of dry ginger powder, and half teaspoon each of black pepper and long pepper in two cups of water. Boil the solution until it reduces to half. Finally, strain the liquid, divide it into three equal parts and drink it three times in a day. • Inhaling the steam of boiling water infused with mint leaves clears nasal congestion. • Drinking mint tea mixed with lime juice, and honey reduces cough, cold and sore throat. You can also add ginger in it. • Being a good relaxant, pudina or fieldmint benefits in dealing with asthma. For this, you can regularly take a teaspoon of fresh mint juice along with water. • Applying a paste prepared from crushed fieldmint or pudina leaves on the forehead relieves headache. Smelling freshly crushed pudina leaves cures dizziness. • Heat mint leaves over a low flame, pound them and apply the warm leaves on aching joints to reduce arthritis pain and inflammation. • Prepare a decoction by boiling mint and basil leaves in water. Drink this solution two times in a day when suffering from malaria. • Rinsing your hair with a solution of fieldmint (pudina) leaves boiled in water reduces hair fall. • Pudina home remedies for skin care can be used as face packs. For instance, you can add 10 crushed pudina leaves in three to four tablespoons of fuller’s earth. Mix the ingredients to form a paste. You can also add a little water in it. Keep it in the refrigerator overnight. Finally, apply on your face and neck, let it dry, and then wash it off after 10-15 minutes. • Drinking as well as applying mint juice on skin is valuable in healing itching sensation. Fresh pudina juice can also be applied on rashes, boils, acne, eczema, and insect bites. • Pimples, blemishes, and age spots can be treated by applying mint juice mixed with a pinch of turmeric powder. Fungal infections like ringworm can be healed by applying a combination of mint and lime juice. 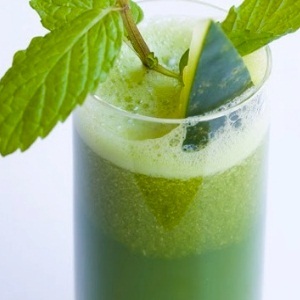 • Regularly applying fresh mint juice under eyes helps in removing dark circles. 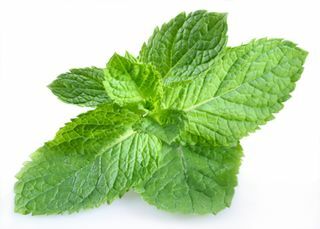 • Another health benefit of field mint (pudina) is that it can be used as a mouthwash as it inhibits bacterial growth. Thus, you can steep two tablespoons of chopped pudina leaves in a cup of hot water for about half an hour. Finally, rinse your mouth with this solution to get rid of bad breath. 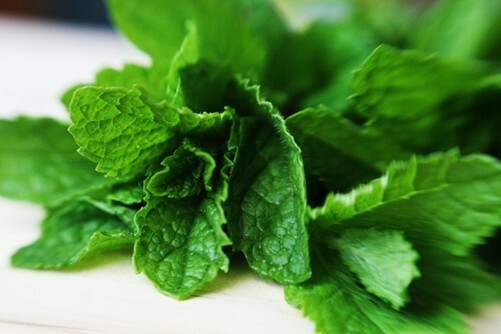 • Dried mint leaves can be used as a tooth powder to treat mouth infections. • Simply chewing fieldmint leaves daily refreshes your breath, strengthens the gums, prevents tooth decay and improves the sensitivity in taste buds. It also stops hiccups. • Taking a teaspoon of dried pudina leaves mixed with one teaspoon of honey is useful in the treatment of delayed menstruation. Follow this therapy three times in a day. In case of amenorrhea, drink a decoction prepared by boiling fieldmint leaves, jaggery, and a pinch of asafoetida in water. • Using a few drops of mint juice as ear drops or nose drops can help cure infections. For storing this herb, you can keep field mint or pudina leaves in a plastic bag and store it in the refrigerator for two to three days. The plant is also works as an insect repellent. Furthermore, the oil extracted from this herb is included in cosmetic products such as soaps, perfumes, etc. Pregnant and nursing women should avoid drinking large amounts of tea prepared from this herb. In addition, individuals suffering from liver problems and gallstones should avoid using field mint oil. Moreover, the oil is not considered safe for children below eight years of age. Applying undiluted mint oil on skin can give rise to skin irritation. Excessive use of this herb can cause headache and heartburn. Thus, fieldmint (pudina) benefits health when it is used in moderation.